This opal springs to life with bright fire sweeping the face all of the time. Amazing!!! 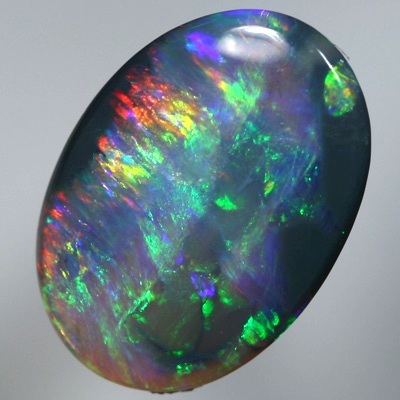 Bright green and a touch of orange flows over the top of the opal while blue and purple move under the green. Every angle tells a story, wild colour shows from every angle. Great in all lights.